WELCOME TO MY MONEY MISSION ONLINE: SNOW DAY + TIME TO BLOG = AWESOME DEALS! SNOW DAY + TIME TO BLOG = AWESOME DEALS! Freebies 4 Mom has awesome photo deals posted. Be sure and check it out! Good way to spend the day! It's snowing and snowing and snowing. I was up bright early (5:15am) and it was snowing, but there didn't seem to be much on the ground. Hubby was shoveling off the sidewalk and he said we probably already had 3" already. Hmmmm...I started wondering if school would be cancelled, because it was also blowing. Sure enough...just after I had already finished a cup of coffee, the phone rang. It was our automated school message coming through...school was cancelled for the day. Why oh Why can't it get cancelled BEFORE I drink coffee?? So, now that I am wide awake, what better thing to do than to blog!! Sign-up for your free ConAgra Coupon Booklet! and you'll get $17.00 worth in coupon savings from Walmart. 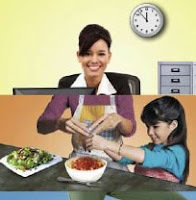 Not sure which brands are part of ConAgra Foods? check out this list to get an idea of what types of coupons you might get. You should receive your coupons within 6 to 8 weeks. Get a coupon by mail for a free YoPlus 4-pack directly from Yoplait for new subscribers to the Betty Crocker newsletter by email. ** Please note that this offer is not available in CA, ID, LA, MN, NJ, ND, NV and TN but you can get a printable coupon. You should receive your coupon in 6 to 8 weeks. 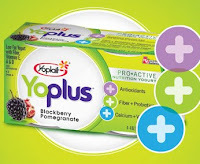 You can also print two coupons to Save $1.00 on YoPlus or YoPlus Light. Wait until YoPlus is on sale at your store and make that coupon give you a better discount! 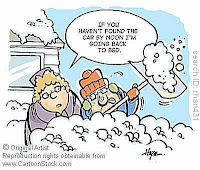 ARE YOU HAVING A SNOW DAY WHERE YOU ARE? If so, what are you doing to do to keep from going crazy? Seriously, it is fun having the kids home, but by 2:00 pm, my kids are going to be having cabin fever!! HELP!! Tomorrow will be our 5th snow day of the year. Only one of those was announced the day of...the rest we knew ahead of time. It's gotta be rough on people who need day car to not find out until the morning that they need daycare that day. considering I live in Phoenix, AZ there's no snow day here! But, I don't work for the school system OR have kids so I wouldn't notice even if there was one! Coming from Michigan though, I loved having snow days! Hopefully you were able to enjoy your freebie day! No snow day here! If the school was on fire, they would make the kids go to school! It was -30 and the kids still had school. And thank you for the links! I'll jump right over there! No snow day here on Thursday, but I'm afraid we will likely have one on Friday. We got 5-6 inches so far. After school activities got canceled though. Repeat after me NO SNOW DAY ON FRIDAY! I don't think I could take it.